The Green Bay Packers will head out on the road and take on the Houston Texans on Sunday Night Football. The Packers come into the game following their road loss at Indianapolis on Sunday. Green Bay trails both the Chicago Bears and Minnesota Vikings by two games in the division. The Packers are 0-2 on the road, and are in the middle of playing three straight road games. For Houston, they moved to 5-0 with a win over the Jets on Monday Night Football. Houston is running away with their division, as Indianapolis sits in second place with a 2-2 record. The Texans are averaging 34 points per game at home this season. Texans or Packers? Make your bet at this bookmaker! Houston looks to remain undefeated on the season. The Texans have not seen a tough schedule to this point in the season. Houston downed Miami, Jacksonville, Denver and Tennessee, before knocking off the Jets on Monday Night. After the Packers game – the Texans will take on Baltimore and Chicago in two of their next three games. Houston has been a great rushing team once again. Arian Foster is among the NFL’s leaders in yards with 532 yards. Owen Daniels has had a solid start to the season. The tight end has caught 23 passes, with 3 of them for touchdowns. The Texans have been fantastic defensively, as they are allowing teams to pick up 285 yards per game. Green Bay will need to figure out their road woes. The Green Bay Packers have yet to win on the road. The Packers will need to figure that out; as they head to St. Louis next weekend. Most fans remember the loss to the Seahawks on Monday Night Football, along with their most recent loss to Andrew Luck and the Colts. Green Bay has not been their normal passing team, as they rank 17th in the league with 230 yards per game. The Packers top receiver’s Jordy Nelson and Randall Cobb have just a combined two touchdown receptions. Green Bay’s defense is allowing teams to score 27 points per game; which is second most in the NFC North. The Packers will be without running back Cedric Benson, who is out for this week and possibly several more. Start making money on the NFL with this game! This bookmaker is a great place to bet on the Packers and Texans game. This should be a very entertaining game. The Green Bay Packers are just a season removed from being a dominant Super Bowl Champion. The Packers have ran into some bad luck, but also have not played real well early in the season. 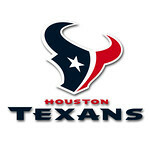 Houston is the class of the AFC, and expects to continue their run. The Texans schedule gets quite a bit tougher, starting with this game. It will be interesting to see what the Texans decide to do against a Green Bay defense that frankly hasn’t been real sharp. We are going to take the Houston Texans -4, and also bet over 48; as the Texans win 28-21.